– Two-time Olympic shot put champion Valerie Adams talking about why she didn’t want to wait until after the Tokyo Olympics to have a second child. Wanders gets the European 10k record! First Marathon - What to wear in rain and cold!? 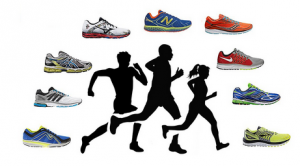 Why do running stores exist? Why is my marathon long run heart rate so high? How would you have handled this situation? Was my anger justified? How does wet grass affect time on a grassy course? 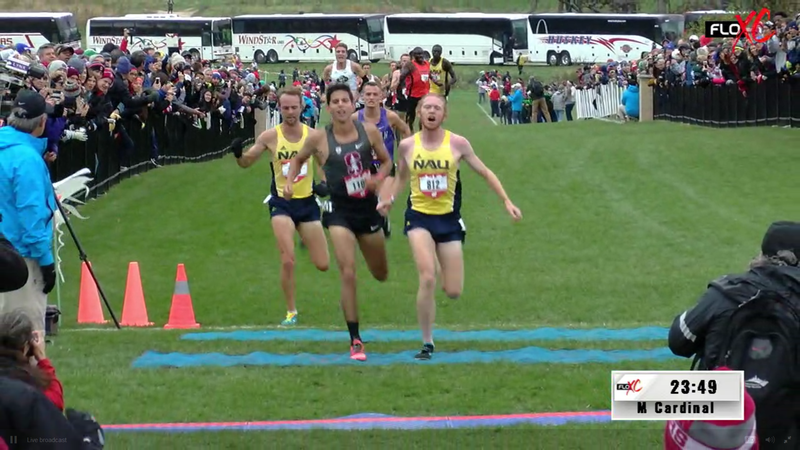 LRC 2018 Pre-Nats: BYU (29 Points) & NAU Men (41 Points) Go Super Low; Grant Fisher Earns Narrow Win In 2018 XC Debut The teams were divided into two roughly even races as Arkansas (51 points) & New Mexico (67 points) claimed the women’s team races. Fisher (23:48), Rory Linkletter (23:54), Weini Kelati (19:33), and Jessica Hull (20:03) earned individual titles. USTFCCCA: Putting NAU’s Lengthy Reign Into Perspective In the last 20 years, NAU is one of only four teams that have topped the NCAA DI coaches’ poll for more than 15 consecutive weeks. Two-Time Olympic Shot Put Champion Valerie Adams To Have A Second Child She said that the pregnancy would not stop her plans to end her career at the 2020 Tokyo Olympics. New USA Gymnastics Chief Catching Flack One Day After Appointment For Tweet Criticising Nike The tweet last month showed her blackening out the Nike logo on a pair of golf shoes during the Colin Kaepernick sponsorship controversy. Tour De France Trophy Stolen From Cycling Show In Birmingham Doesn’t that trophy get stolen from clean athletes just about every year? Italian Government Will Not Fund 2026 Olympic Bid We’re noticing a trend where Italy likes to talk about the possibility of bidding for the Olympics before shutting it down completely. There Will Be Another Refugee Team For The Tokyo 2020 Olympics A 10 member team from Syria, Congo, Ethiopia and South Sudan competed at the 2016 Rio Games. Usain Bolt Scores His First Soccer Goals As A Pro Soccer Player Bolt had two goals in in the Central Coast Mariners 4-0 victory (includes video). LRC Marathon Racing Tips Via Mo Farah, Sara Hall Is Back Beating Molly Huddle, Katelyn Tuohy Amazes Again Tuohy crushed another famous course record by over a minute. 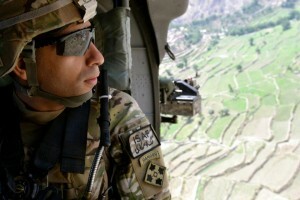 Plus meet Craig Engels‘ look-alike. 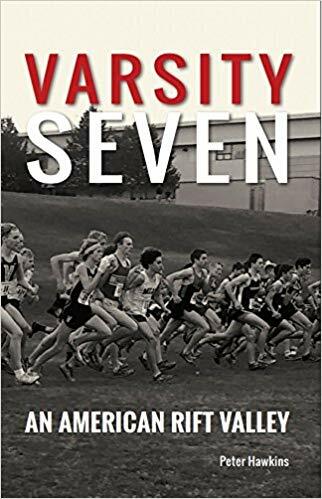 Book Review: LRC Varsity Seven Shares Some Cool Gerry Lindgren Stories, But Is Far Too Long For Even The Die-Hard Running Fan If you want to learn about Gerry Lindgren and Spokane, WA – the Rift Valley of American Distance Running – then this book is for you. Who Doesn’t Want Their Own Statue? Statue In Jamaica For Shelly-Ann Fraser-Pryce To Be Unveiled On October 14th Her statue will be added to the one of Usain Bolt with more for Veronica Campbell-Brown and Asafa Powell still to come. 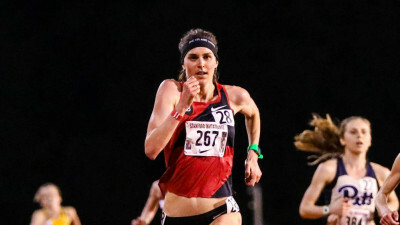 NCAA Champion Gabby Thomas Signs Pro Contract With New Balance Thomas has decided to pass on her final year of eligibility at Harvard, but will stay to finish her degree and continue to work with her coach. Usain Bolt Was Left On The Bench During His Soccer Game On Friday Bolt got no play time in the preseason game as his team won 3-1. Polish Sprinter Justyna Swiety-Ersetic Talks About The High Moment Of Her Career When She Won Double Gold In The 400 And 4 X 400 At This Summer’s Euro Champs The two gold medals game in the span of 90 minutes. IAAF Weekend Road Round-Up: World U20 XC Champ Jacob Kiplimo Beats Out World 5,000 Champ Muktar Edris To Win Giro Al Sas 10k Kiplimo ran 28:17 to Edris’ 28:31. Elsewhere, Kenyans Raymond Choge (2:08:11) and Milliam Ebongon (2:27:16) won the Kosice Peace Marathon in Slovakia, the oldest marathon in Europe. Aussie Jack Rayner Wins Inaugural Commonwealth Half Marathon Championships In 61:01 GB’s Dewi Griffiths was 9th in 62:54 while Uganda’s Juliet Chekwel won the women’s race in 69:45. *Sad News: Two Runners Die After The Cardiff Half The two, only aged 25 and 32, went into cardiac arrest after crossing the finish line. 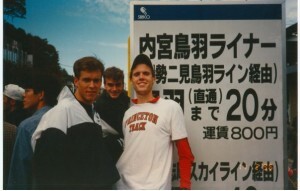 LRC As They Prepare To Face Off At The Chicago Marathon, A Look At The History Of Former Training Partners Mo Farah & Galen Rupp Six years ago, they were training partners, the best of buds and on top of the world after going 1-2 in the 10k at the Olympics. Now they are rivals, and this Sunday in Chicago, Mo Farah and Galen Rupp will square off for the first time at the 26.2-mile distance. LRC 5 Questions With Olympic Champ Gwen Jorgensen Before The Chicago Marathon Gwen Jorgensen is still focused on Olympic gold in 2020. ESPN: Dickson Chumba Undaunted By Strong Chicago Marathon Field The Tokyo and 2015 Chicago champ says he doesn’t fear anyone, “not even the likes of Mo Farah.” His coach thinks Chumba (2:04:32 PR) is in the best shape of his life. MB: What’s a successful run for Gwen Jorgensen on Sunday in Chicago? 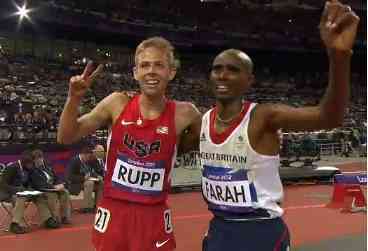 MB: Who you got in Chicago: Farah or Rupp? MB: Forget Farah and Rupp, Geoffrey Kirui should be the favorite to win at Chicago. 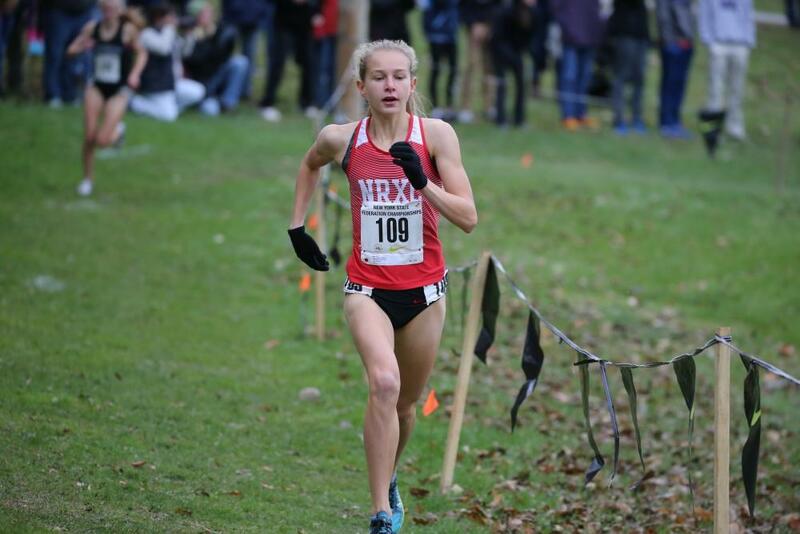 Katelyn Tuohy Crushes Another Big High School Course Record, This Time At Sunken Meadow Tuohy ran 16:52.97 to absolutely destroy the record held by former Foot Locker champ Aisling Cuffe at 17:45. Tuohy’s time would have put her third in the varsity boys race. 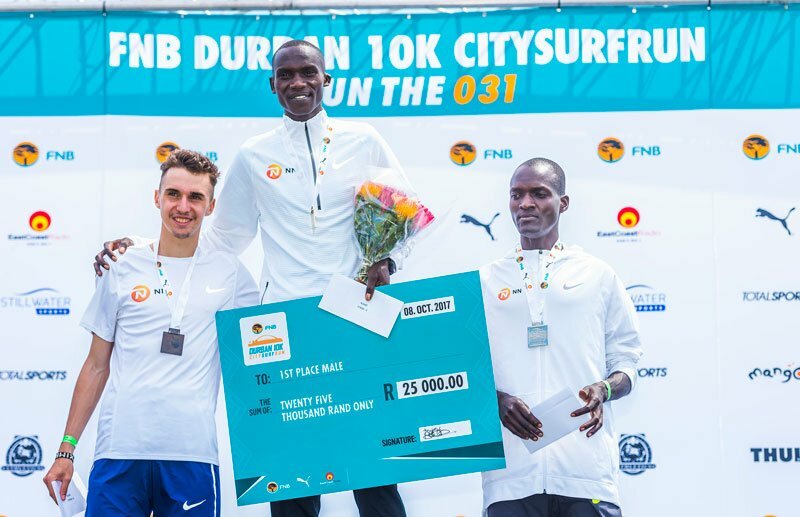 Switzerland’s Julien Wanders Smashes European 10k Record With 27:32 In Durban As World Silver Medalist Joshua Cheptegei Wins In 27:16 Wanders broke Mo Farah‘s 8-year-old record of 27:44. *MB: Wanders gets the European 10k record! 41-Year-Old Mother Of Two, Sinead Diver, Wins Melbourne Marathon In 2:25:19 She took 6-minutes off her PB to become the second fastest Irish-born marathoner ever (although she runs for Australia). Aussie Liam Adams won the men’s race in 2:15:13. 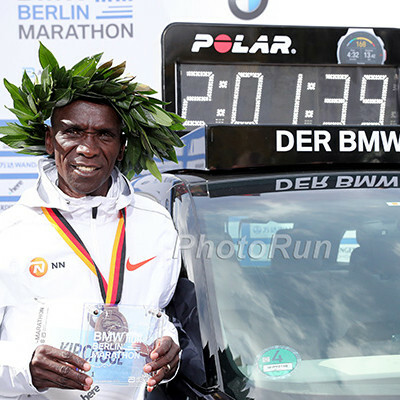 Vincent Kibet Gets Upset Victory As Alina Reh Clocks Top European Time At The Bridgestone Great 10k In Berlin Kibet won in 27:21 to beat out defending champ Mathew Kimeli(27:38) while Reh ran the 12th fastest European time ever with a 31:23 win. IAAF Weekend Road Preview: WR Holder Zersenay Tadese And World Marathon Champ Rose Chelimo Headline At The Lisbon Half Marathon Tadese faces Japhet Korir (60:09 PR) as well as several others who have run around the 1-hour mark. Chelimo is up against the European 10,000 champ, Israel’s Lonah Chemtai Salpeter (1:08:59). *Ten Sub-2:09 Men Lead Lisbon Marathon Field Ethiopian Guteni Shone (2:23:32) has the best PR in the women’s race. 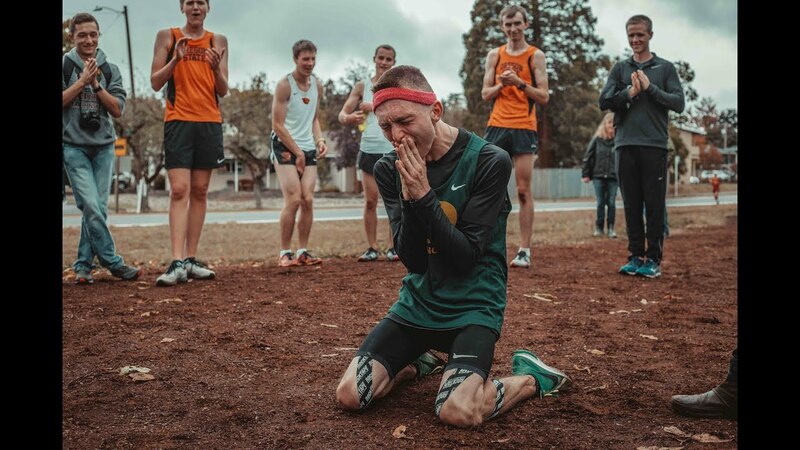 The Oregonian: Nike Signs Oregon Runner Justin Gallegos As Their First Athlete With Cerebral Palsy Gallegos is a junior club runner who is trying to break 2 hours in the half marathon. 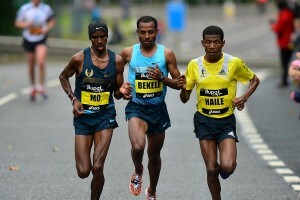 October 21: MB: New Bekele Video!!! The pre-Amsterdam Marathon video has Bekele talking with training footage in the background. IAAF Youth Olympic Games Day 2 Recap Ethiopia’s Abrham Sime took the men’s 2,000 steeplecahse in 5:34.94 while Kenya’s Fancy Cherono won the women’s race in 6:28.08. Argentina’s Nazareno Sasia highlighted non-distance action with a 21.58m victory in the shot put. 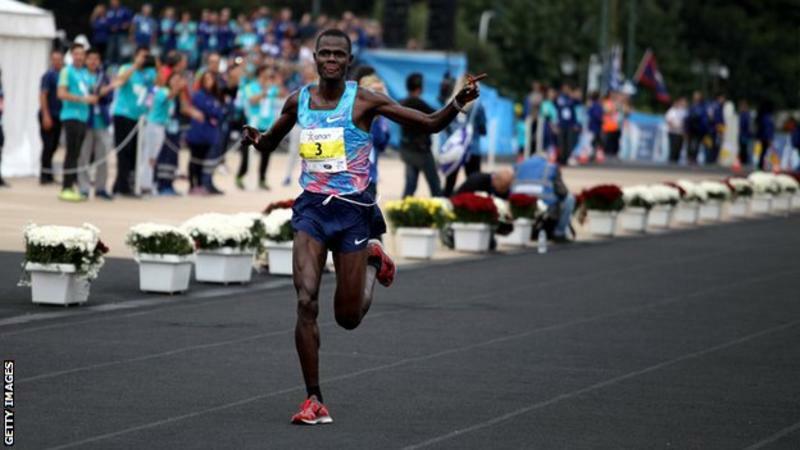 IAAF Youth Olympic Games Day 1 Recap Uganda got double wins in the 3,000s from Oscar Chelimo (8:08.20) and Sarah Chalangat (9:11.63) to highlight the distance action. Entries For 2018 Youth Olympics Games There are some cool innovations this year including an XC race for athletes from the 1,500, 3,000 and steeple as well as a mixed 8 x 100m relay. 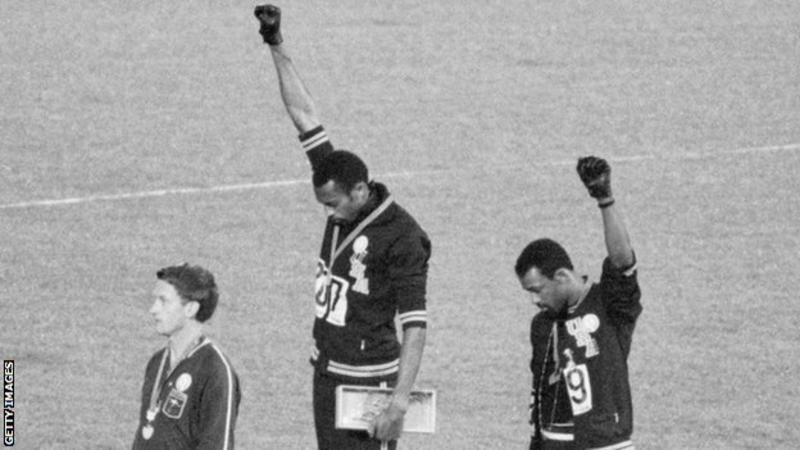 IAAF: Pivotal 1968 Mexico City Olympic Games Celebrate 50th Anniversary The “Black Power” salute wasn’t the only historical event at the 1968 games. Reuters: Puma Commemorates “Black Power” Salute In US Market Push Puma is trying to replicate the sales jump Nike saw with sponsoring Colin Kaepernick. Tommie Smith Says Colin Kaepernick’s NFL Protest Made Him Cry Smith told BBC Sport he took “glorious pride” from the gesture. Register-Guard: Hayward Field Construction Rounds A Corner The first walls have gone up and construction workers have begun pouring concrete. 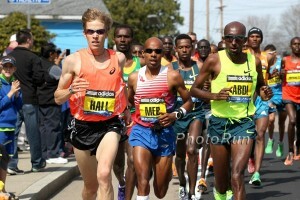 LRC Final MO FARAH WINS CHICAGO IN 2:05:11, Rupp 5th, Osako Breaks Japanese Record Galen Rupp was 5th in 2:06:21. LRC Suguru Osako Breaks Japanese Record In Marathon, Gets 100 Million Yen ($879,000) Payday, And Beats Galen Rupp Yuta Shitara‘s 2:06:11 national record lasted less than a year as Osako today became the second non-African born runner to break 2:06:00 on a record-eligible course. Actor/Comedian Kevin Hart Finishes His Second Marathon At Chicago Hart ran 4:13 and was greeted by Mo Farah at the finish line. Shannon Rowbury Joins Coaching Staff At University Of San Francisco As A Volunteer Assistant Rowbury plans to continue to train and compete as a pro while working as a coach. October 21: Tirunesh Dibaba Added To Field For The Delhi Half Marathon She’ll face Ethiopian national record holder Ababel Yeshaneh (65:46) while multi-time international medalist Hagos Gebrhiwet is making his half marathon debut in the men’s race. IAAF Inside Athletics: Ato Boldon Interviews Paula Radcliffe Talking about her marathon WR, Radcliffe says when she set it she genuinely thought she could come back and beat it, but it never happened. Carrie Tollefson Does Podcast Interview With Gwen Jorgensen This is from before Chicago. She talks about her training and her YouTube channel. 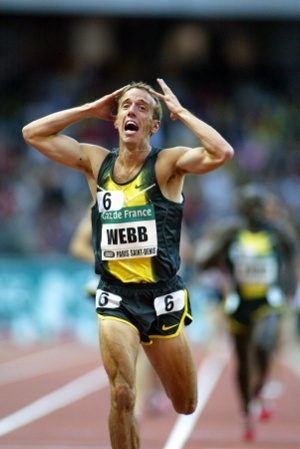 *Previously: Alan Webb Wants To Start A New Career As A College Track Coach Webb currently coaches runners online (including helping Olympian Anthony Famiglietti run sub-4 as a master), but now is looking for a full-time college position. Register-Guard: House Sale Marks The End Of An Era For “Eugene’s First Family Of Running” The home of Bill and Marcia McChesney is having an estate sale today at 1PM ET with years of running memorabilia available to buy. 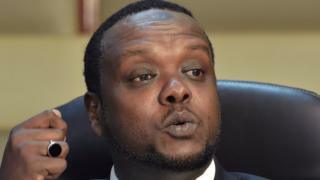 Seven Kenyan Olympic Officials Including Kip Keino And Former Sports Minister Hassan Wario Facing Corruption Charges They are charged with stealing about a half-million dollars that was meant for athletes. *InsideTheGames: Former Kenyan Olympic Official Stephen Kiptanui Has Been Arrested For Connection In Rio Olympic Scandal This article has some more details about the alleged corruption charges. Seb Coe Asks Senegalese President To Help Extradite Papa Massata Diack To France So He Can Face Bribery Allegations Papa Diack has been on Interpol’s most wanted list since December 2015, but the Senegalese government refuses to extradite him. Zack Ornelas And Keely Henninger Win 2018 USATF 50 Mile Road National Championships Ornelas won in 5:55:13 (7:06 pace) and Henninger was first female, but also second overall in 6:37:14 (7:57 pace). Kenyan Marathoner Samuel Kalalei Gets 4-Year Doping Ban The 2017 Athens Marathon champ tested positive for EPO. *Reuters Article Kalalei tested positive at Rotterdam, where he ran a 2:10:44 PR for 7th place. 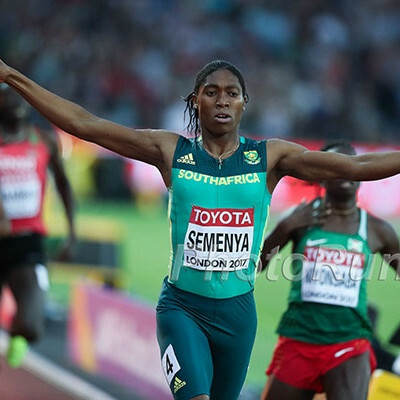 WADA Publishes 2019 Prohibited List With Minimal Changes Did you know that “gene editing” is on the WADA prohibited list? *MB: Did Emily Sisson just run an AR for the ROAD 10k? 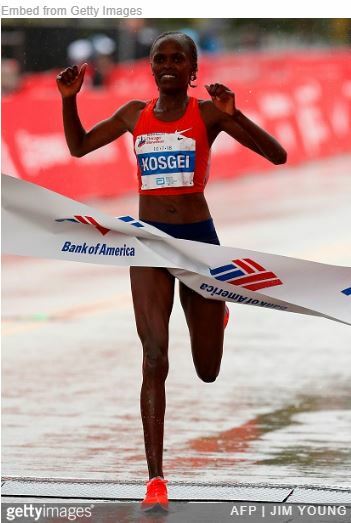 RRW/LRC Brigid Kosgei Wins 2018 Chicago Marathon In 2:18:35, Becomes 9th Woman To Break 2:19:00 As No Americans Break 2:30 Sarah Crouch took top American honors in 6th in 2:32:37 as Gwen Jorgensen (2:36:23) and Laura Thweatt (DNF) struggled. LRC Gwen Jorgensen Second Guessing Her Decision To Quit The Triathlon After Chicago Marathon Jorgensen did have a fever this week. MB: Gwen Jorgensen 2:36:23 – where does she go from here? MB: Jorgensen, Pappas, Thweatt — Top USA woman at the Chicago Marathon: Who Ya Got? USATF: Four American Women Finish Top 10 In Chicago After Sarah Crouch (6th), it was Taylor Ward (7th), Gwen Jorgensen (9th) and Katie Matthews (10th). 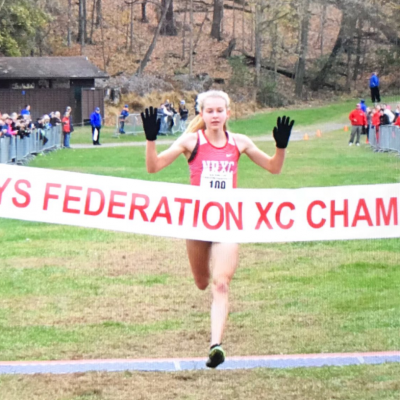 MB: Katelyn Tuohy just ran 16:21 at Holmdel Park – Smashed CR by 63 seconds – Is this the greatest women’s HS xc performance ever? To put it in perspective for you, a 9:11 3,200-meter boy ran 16:18 and a 4:08 miler ran 16:14. Tullyrunners is rating it 1.3 speed ratings points higher (about 4 seconds) better than her run from a few weeks ago. *MileSplit: Katelyn Tuohy Shatters NJ’s Holmdel Course Record With 16:21 The previous record was 17:27 set in 2011 by Megan Venables. Amazingly, Tuohy would have finished 17th in the boys merged results. Last Week: Wisconsin Gets Double Athlete Of The Week From Morgan McDonald And Alicia Monson They each took the individual wins at the Nuttycombe Invy. LRC 2018 Wisconsin Invite: NAU Men Send Message, Colorado Women Surprise, Wisconsin’s Morgan McDonald & Alicia Monson Sweep Individual Titles The men’s race went according to form as the NAU men DOMINATED and Morgan McDonald was fantastic while the women’s race was full of surprises both in the team and individual race. All together, there were 34 ranked teams at this meet. USTFCCCA Weekend Recap: Roy Griak, Paul Short, Louisville And Stanford At Griak, the Duke men beat out Minnesota by 3 points as Harvard’s Kieran Tuntivate won individually. Minnesota dominated the women’s race, led by a 1-2 from twin sisters Bethany and Megan Hasz. Team LRC Alabama’s Gamble: Can The Crimson Tide Win The NCAA Cross-Country Title With Five Kenyans – And Not Much Else? If Alabama wins it all this year in XC, they will be the first balanced program to win an NCAA men’s XC title in 10 years. Last year, the Crimson Tide quietly won the John McDonnell Program of the Year award, which goes to the school with the best combined finish across cross-country, indoor, and outdoor track & field. MB: Is the NCAA trying to kill off distance-only schools? A recent proposal would originate “XC scholarships,” which sounds like a good thing but in reality appears to limit the # of distance scholarships allowed to be offered at any school. MB: Who will win the 2018 NCAA XC individual crowns? 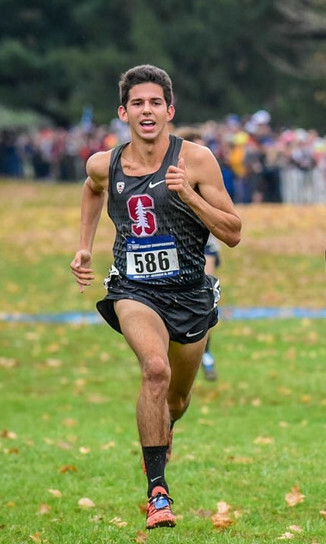 Will an American man (Grant Fisher?) win for the 1st time in 10 yrs? NCAA Athletes Of The Week Are Amon Kemboi (Campbell University) And Abbey Wheeler (Providence) Kemboi beat Syracuse’s Aidan Tooker to win the Coast-to-Coast Battle in Beantown while Wheeler won the women’s race by 9 seconds.